Rice flour bread toast is a crispy and spicy preparation. It is filling and delicious in taste and a nutritious snack. The outer surface is golden after the preparation. It can be cooked with minimal oil. 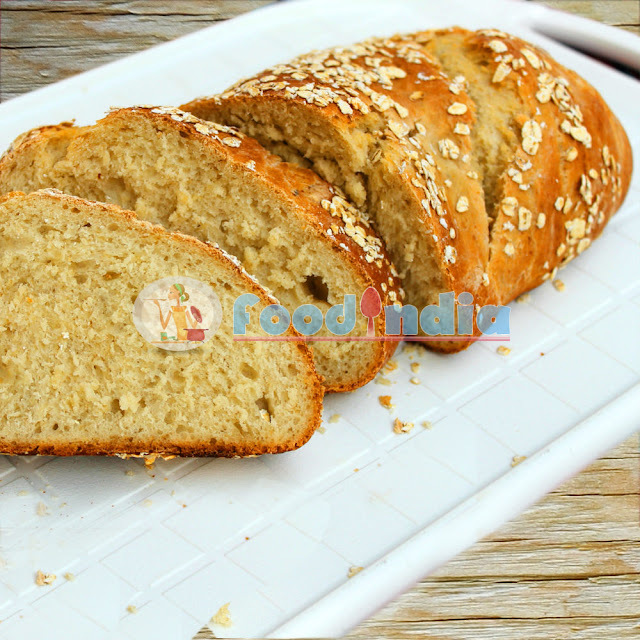 Diet foods rice flour bread toast easy to cook find step by step recipe with handy ingredients. Step 1: Washed Green chilies are required to be chopped after removal of stems. Step 2: Wash the Ginger, peel it and roughly chop it. Step 3: Grind ginger and green chili in bit large and irregularly shaped pieces. Step 4: Take a mixing bowl and mix together rice flour, yogurt, ginger green chili paste, cumin seeds and salt. Step 5: Make a smooth and thickly lucid paste of rice flour with all other ingredients above. Step 6: Provide medium heat to a flat Pan after applying edible oil to the pan. Step 7: Spread a thick layer of the prepared rice flour mixture on one side of the bread slice with with a knife. Step 8: Place the bread slice carefully on the hot pan and fry it until its light golden in color. Step 9: Turn the bread slice on the other side and apply a thick layer of the rice flour mixture on the side. Step 10: Leave the other side of the bread slice on the Pan until it gets light golden in color. Step 11: Remove the toasted bread onto a serving plate. Repeat the same with remaining bread slices or If it is a large Pan, you may prepare couple of bread pieces at the same time. Step 12: You can serve rice flour bread toast sizzling hot. Please ensure that the bread slice is toasted well. You may change the luster of the rice flour mixture by adding more rice floor if it is too loose. If it is too thick, you can add more yogurt to it. If the rice flour mixture is too thick, add more yogurt to it. You can add variety by including some herbs in the mixture. This can also be prepared on a slightly toasted bread before applying the paste. 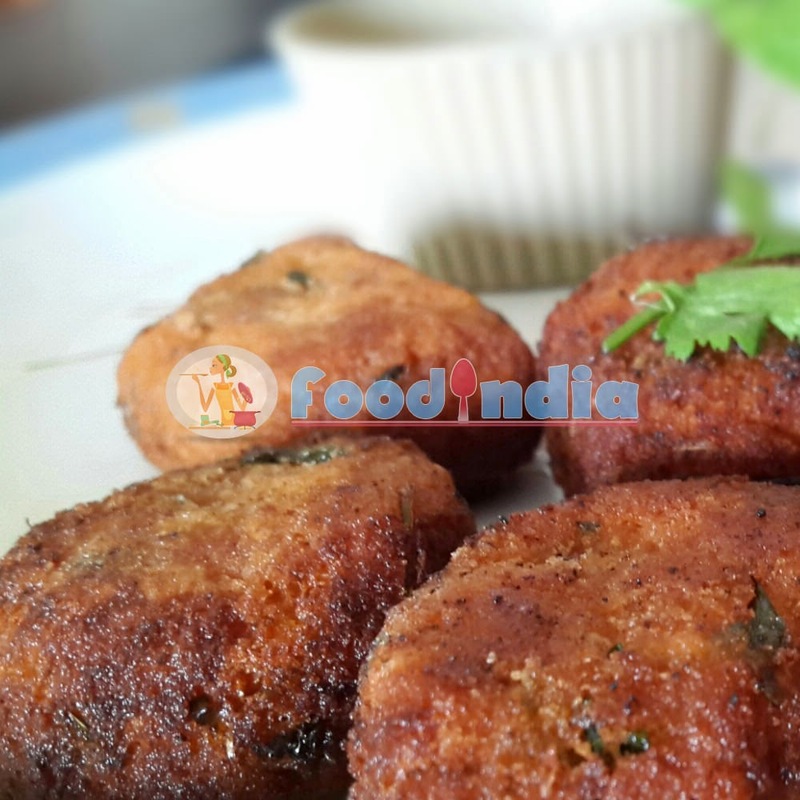 Vegetable Cutlet is a mouth-watering mixture of mashed potato and vegetables. Vegetable Cutlet is Indian potato Chaat Snack which is a crisp outside, soft inside also called Veg Cutlet. Instants homemade Chaat Recipe Vegetable Cutlet enjoy with Pudina Chutney. Step: 1 Boil potatoes in water until they become soft. Step: 2 Then after peel off the skin and mash them into a fine paste. Step: 3 Heat 2 tablespoons of oil and saute onion in it. When onion turns into golden colour, add spice powders. Step: 4 A minute after, add the mixed vegetables. Step: 5 Stir and pour a 1/2 cup of water. When vegetables are cooked most of the water would have been evaporated. Step: 6 Remove vegetables from heat and mix them with mashed potatoes and salt. Step: 7 Make them into small balls, about the size of a lime. Coat each ball with bread crumbs. Paneer tikka masala is an Punjabi Indian Dish serves as starter. Paneer Tikka is basically made from paneer, garlic and onion. 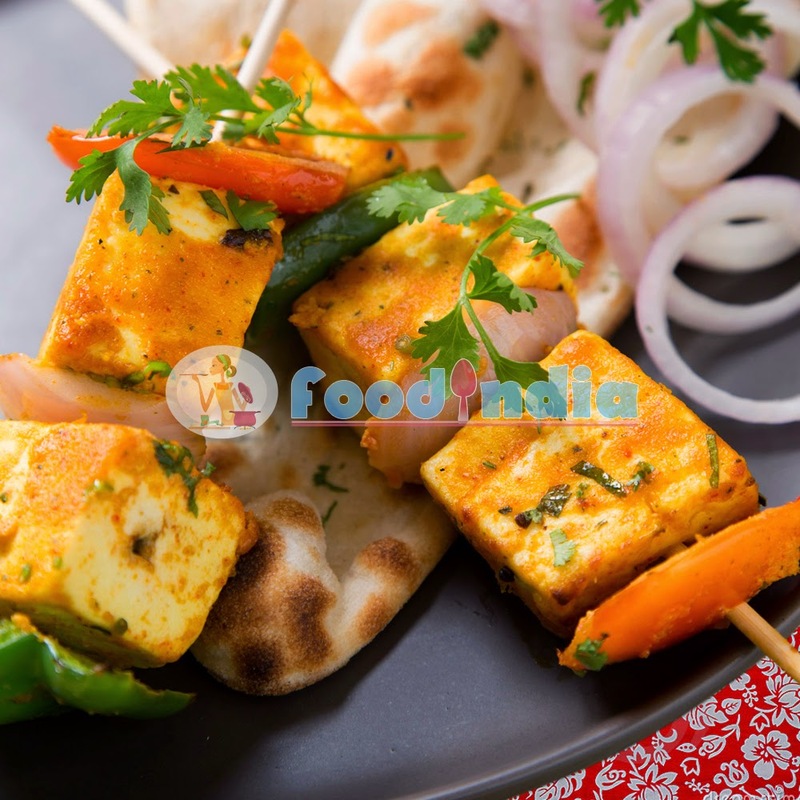 Paneer Tikka Recipe is easy to cook at home that can also serve with red gravy. Paneer Tikka tries with Masala Papad, Kothmir Chutney and Soup as starter. Step 1 : Slice the paneer into cubes of 2 by 3 cm size. Step 2 : Mix all ingredients like Yogurt, Garlic Paste, Ginger Paste, Black Pepper, Chaat Masala. Step 3 : Cover the sliced paneer with this mixture and leave it for 30 minutes. Pre heat the oven to 300 F and bake the paneer for 10 minutes. Step 4 : Alternatively, you can also use grill for cooking paneer tikka. Step 5 : Serve paneer tikka with onion rings and lemon juice over it. Step 6 : You can deep fry them if do not have an oven. 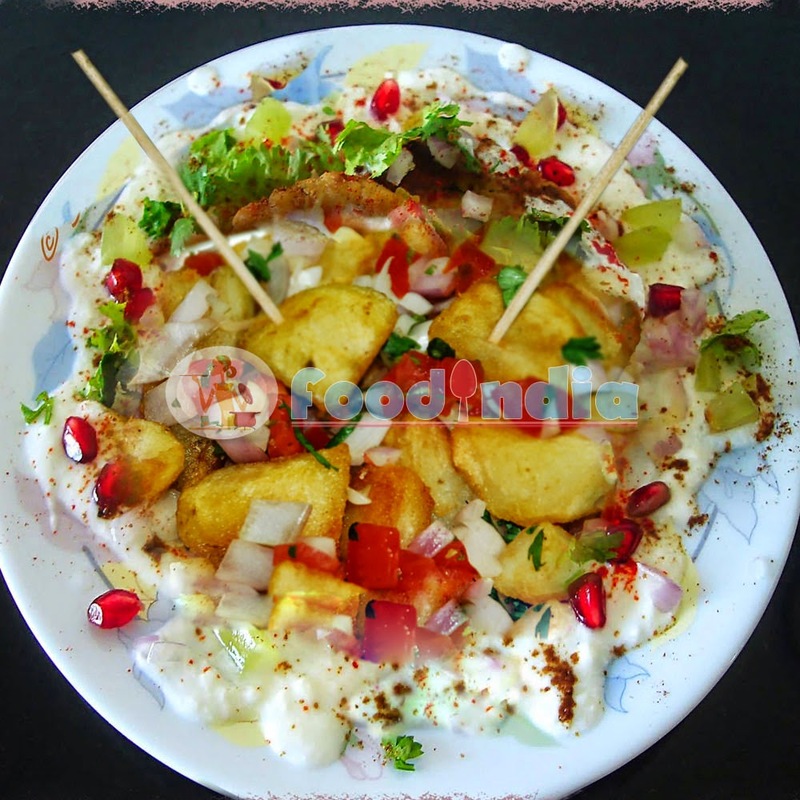 Aloo Chaat can be served as as a snack, potato salad and light meal. Combination of boiled and fried cubed potatoes and chat masala. Aloo Chaat is most favorite recipes among different regions across the country. Aloo Chaat also known as savory potato snack. Aloo Chaat is also spelled as Alu Chaat. Step 1 : Bake the sweet and new potatoes wrapped in an aluminum foil. Step 2 : Chop coarsely and mix. Put Chopped Potatoes on a plate. Step 3 : Sprinkle Lemon Juice, Cumin Seeds, Salt, Chaat Masala and Coriander Leaves and serve. 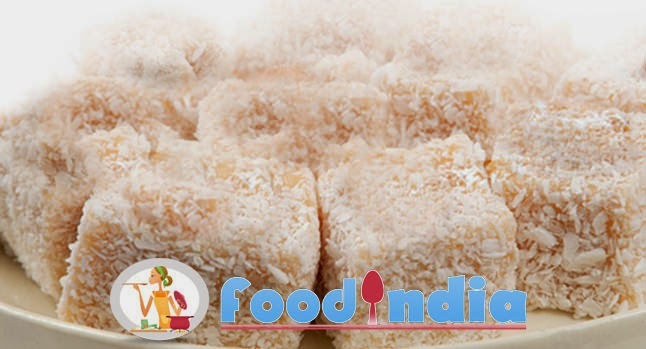 Kopra Pak is Indian Sweet Dish alsso known as Coconut Barafi which is combination of coconut, Sugar, Milk and Ghee. Kopra Pak is home made easy Sweet Dish Recipe. You can serve it in all festivals and in snack for your guests as side Sweet Dish. Step 1: Take kadhai boil milk and sugar make a thick syrup like a it formed drop. Step 2: Add coconut and cook for some time. Step 3: Add ghee, saffron and mix it well. Step 4: Now put off from the flame, add cardamom powder. Step 5: Take a dish, spread little oil on it because the mixture not stick. Step 6: Make a layer of mixture in dish, decorate with silver foil if you like. Step 7: Cut into small pieces and serve it. Sev khamani is famous Gujarati Surati spicy farsan which is made from chana dal with sev, granted coconut, pomegranate. 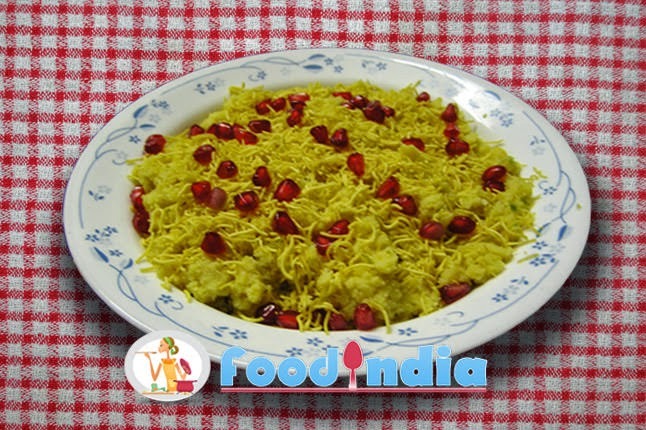 Sev khamani is mostly made and famous in Surat city so called Surati Sev Khamani. Try this Surati Sev Khamani Recipe by Food India Blog. You can enjoy it in breakfast with Tea and Chutney. Step 1: Soak chana dal in water for 6 hours and cook it in pressure cooker. Step 2: Take oil in pan, add mustard seeds, after crackling, add garlic, dal, salt, green Chili paste and sugar. Step 3: Add water and lime juice and roast it well. Step 4: Now sprinkle sev, granted coconut, pomegranate and coriander leaves, and serve it. 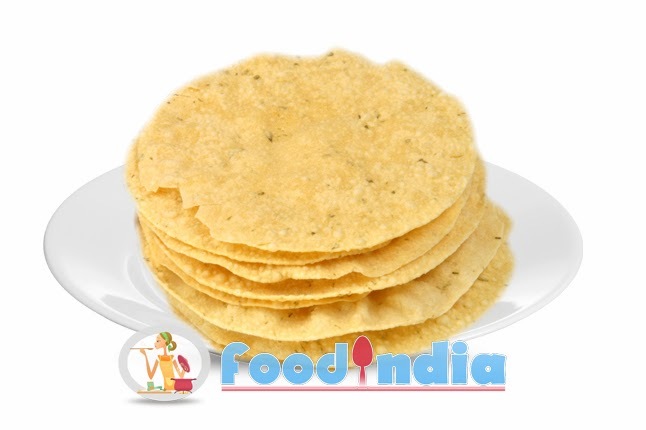 Diwali special snacks Mathiya is one type of papad with little sweet, crunchy and spicy in taste serve mostly in festival of Diwali with sweets. Muth flour is used in mathiya with urad dal and Pea flour. Step 1: Boil one cup of water, add salt and sugar. Step 2: Add 1 Tablespoon of ghee after melting properly and remove from gas. Step 3: Mix flour, add sesame seeds, ajwain, white chilli powder, asafetida. Step 4: Make tight using boiled mixture. Step 5: Knead the tight util it be soft. Step 6: Make small portions from dough. Step 7: Sprinkle little muth flours and ghee on small portions. Step 8: Put one portion in small plastic paper and roll thin roti. Step 9: Follow same for all portions. Step 10: Fry roti in oil and serve it. 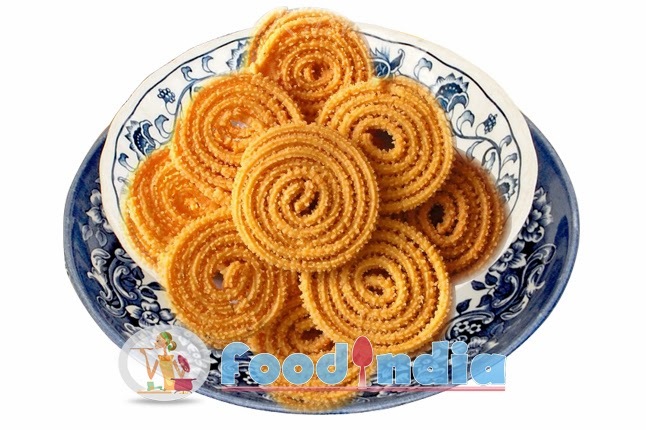 Chakali is one type of snacks like hard jalebi shaped made from wheat flour with ginger and chili paste. Try this chakali with tea. Step 1: Tie the wheat flour in Muslin cloth. Step 2: Steam the cloth with flour in pressure cooker. Step 3: Remove from the cloth and break lumps which are formed. Step 4: Add Ginger-chilli paste, sesame seeds, curd and salt. Step 5: Take machine and put chakari jail in machine. Step 6: Fill dough in machine. Step 7: Make round chakari. Without chutney fafda dish is not complete here I come with Gujarati's special Fafda Chutney some time its called kadhi chutney. This chutney makes a great combination with khaman dhokla also. Step 1: Grind Ginger, Green Chilies, Coriander Leaves, and Mint Leaves and put them aside. 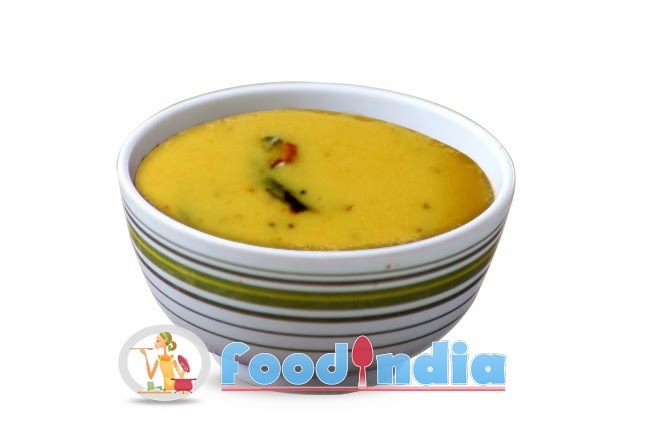 Step 2: Take Gram flour, Curd, Water in bowl blend smoothly without any lumps. Step 4: Add mixture of bowl in it, add Black Salt, Sugar and salt. Step 5: Keep stirring and cook until mixture will not stick at bottom of the pan. Step 6: Add Grinding paste; mix well and off the gas after a minute. Step 7: Serve it with fafda. Mint leaves means Pudina. 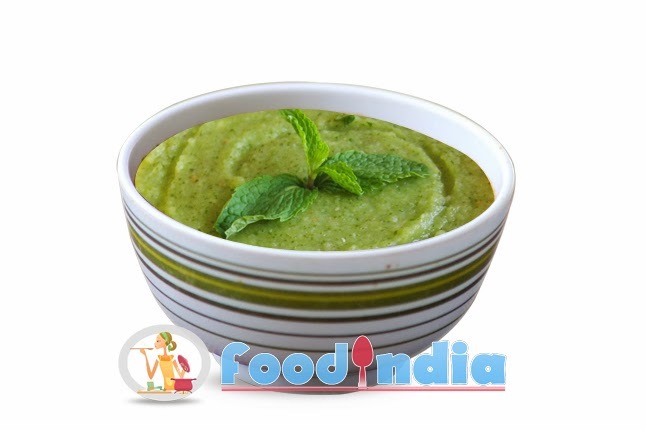 You can try this pudina chutney with all time girls favourite pani puri. Pudina chutney is also makes great combination with khaman , dhokla, handvo, sev khaman, chola fali. Step 1: Make curd smooth using whisk. Step 2: Add spice powder and salt in curd. Step 3: Mix Mint leaves, ginger, onions, green chill and little water and grind them to make smooth paste. Step 4: Mix paste and curd. Step 5: Grind the mixture well. Step 6: Serve the mint chutney with any tandoori snack or starter.